Most are easy, many are fast, all are delicious. 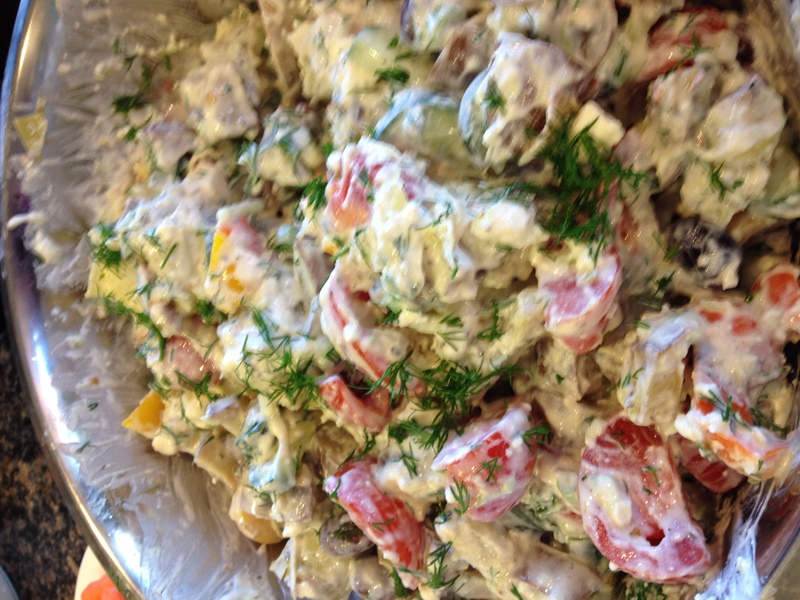 It’s beginning to look a lot like…potato salad season. Which, as a mayo hater, can be fraught with peril. Plus, the average potato salad? Potatoes. Eggs. Maybe some pickles. Meh. But there’s something about the nostalgia, the idea of cold potatoes on a hot summer day…in the right context, dressed with the right sauce, it could be refreshing, yet comforting, flavorful, yet familiar, wholly American yet…Greek? Think about it – what other dressing is white, creamy and capable of tying together a whole dish? Tzatziki sauce. It’s refreshing, easy and most importantly, not mayo. 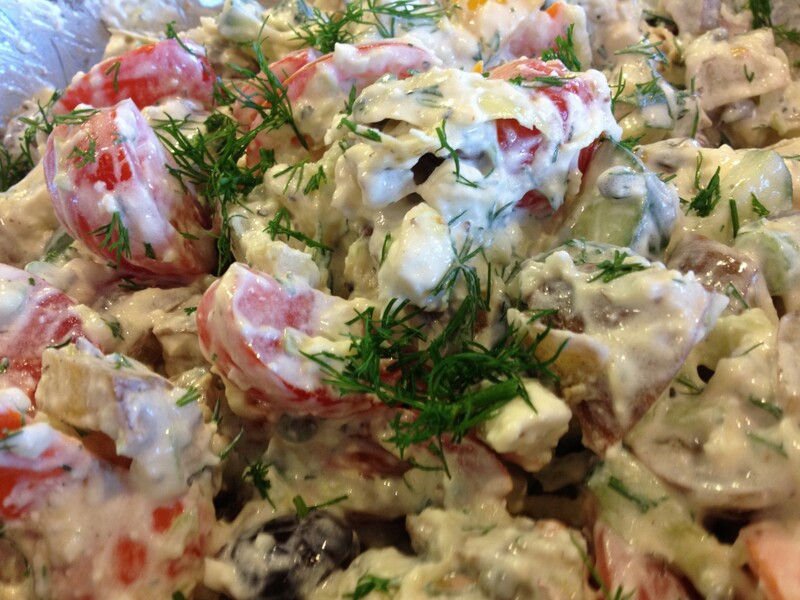 Using that as a base, it only makes sense to mimic some other traditional Greek flavors – olives, tomatoes, cucumbers, dill, bell peppers, artichokes…This is a great option for a ‘non-traditional’ potato salad, and has enough color to make it a beautiful addition to the table (no formless white slop here.) It works as a great stand-alone side, or even as the main event with some accompanying vegetables. You’ll probably get more dressing than you need, but use the rest on salads, sandwiches – or straight off the spoon. I won’t tell. So fresh, so delicious, so full of awesome sauce. It’s potato salad on steroids. Roast the potatoes: toss with oil, oregano and rosemary, bake at 425 degrees for 15-10 minutes, until fork tender. Turn a couple, of times to encourage even browning. Remove and let cool. Assemble the salad: dice the other veggies while you roast the potatoes. Combine cooled potatoes and veggies in large bowl with the dressing – toss to coat. Chill 30 minutes – 1 hour. Garnish with fresh lemon slices and fresh, chopped dill. Serve cold or room temperature. This time of year is fickle. The skies promise sunshine, it peeks through the clouds with a shy anticipation – but snatches back and sends us cold winds on the turn of a dime. Everything is brown. And wet. And not growing yet. Oh, and my migraines are terrible. It makes me crabby. 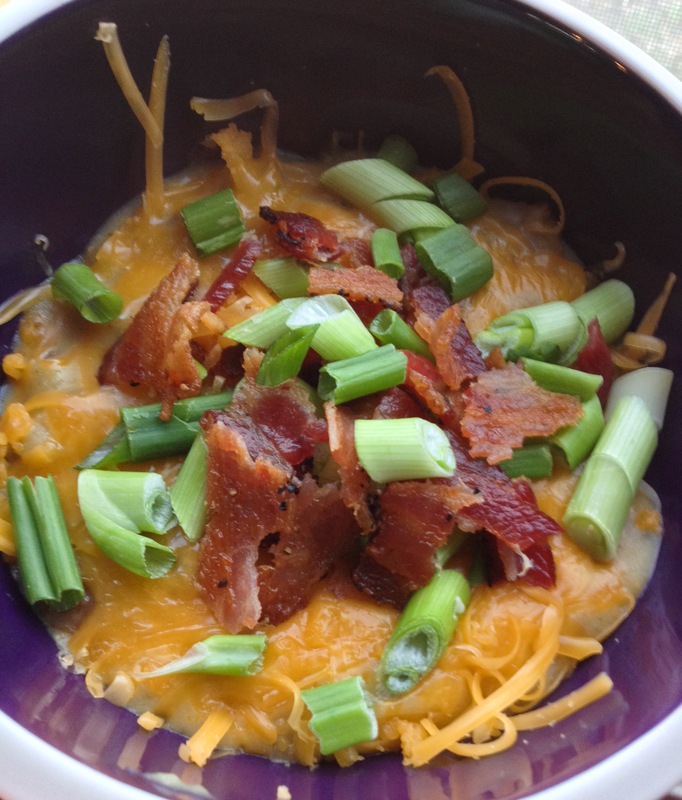 When I am crabby, I crave comfort food – enter baked potato soup. You need something to cheer your weary bones? This is hearty, and comforting. You need some fun in your life? 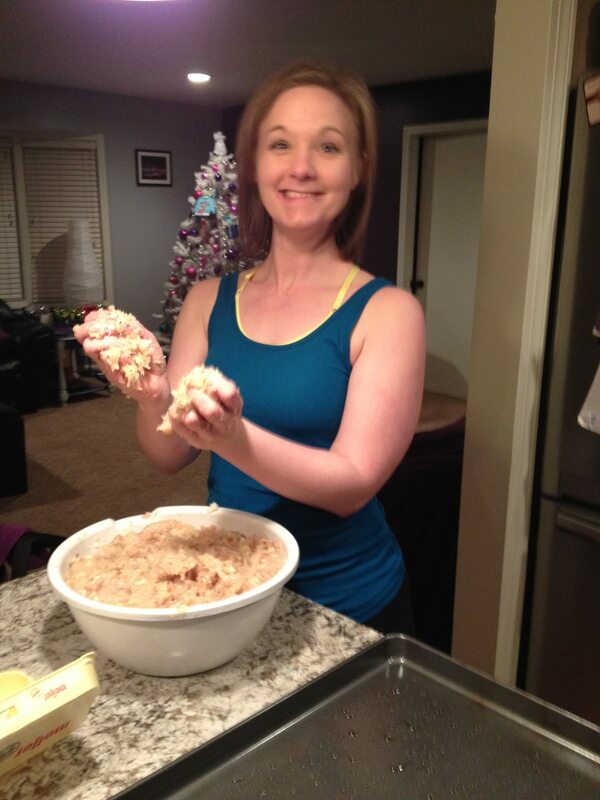 If a bacon-topped bowl of goodness isn’t fun, I don’t know what is. You need something easy for dinner? 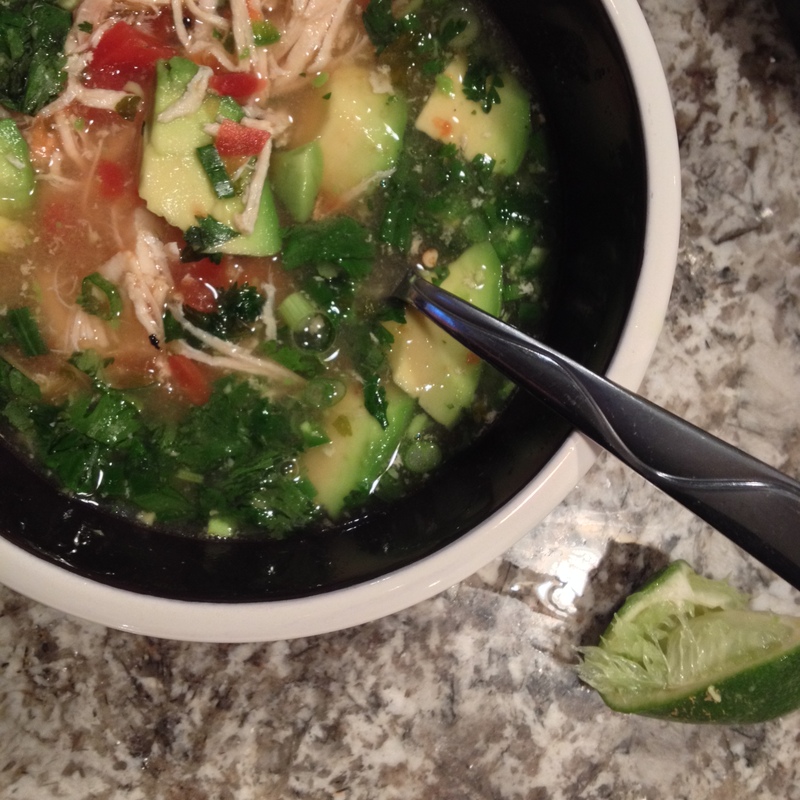 My friends, dive into this delicious bowl. There are a million different recipes for baked potato soup – mine balances the line between decadent and decidedly not terrible for you. It’s filling, relatively fast and fairly hard to ruin. Also, cheese. And bacon. Who can be crabby in the face of that? Potatoes. Bacon. Cheese. I rest my case. Prick potatoes on each side with a fork. Microwave for 8 minutes, flip, and microwave 7-8 minutes more. Heat butter in a large pot over medium high heat. Add onions and saute for 8-10 minutes, until softened and slightly browned. Add garlic and saute another 1-2 minutes. Deglaze pan with chicken broth, adding potatoes, cream cheese and half of cheddar cheese. Stir, breaking up potatoes into smaller chunks with the spoon, and allow cheese to melt. Season with salt and pepper to taste. Garnish with bacon, cheese and scallions. I’ve managed to make the hubs love of a lot of things he thought he hated. Steak. Bell peppers. Broccoli. Spicy food. (Well, not spicy to me, but I can actually use sriracha now.) But nothing has shocked me as much as his absolute obsession with Brussels sprouts. Brussels sprouts seem to be the “hot new trend” in food – mostly, I think, because everyone thought they hated them. Including David. Until someone got the genius idea to roast them. Now, he loves them with everything. He also is not a huge fan of me suggesting ‘meatless’ night. But this gem, via Cookie and Kate, may have changed his mind. I did serve this with a pork tenderloin, but it would have been plenty on its own. 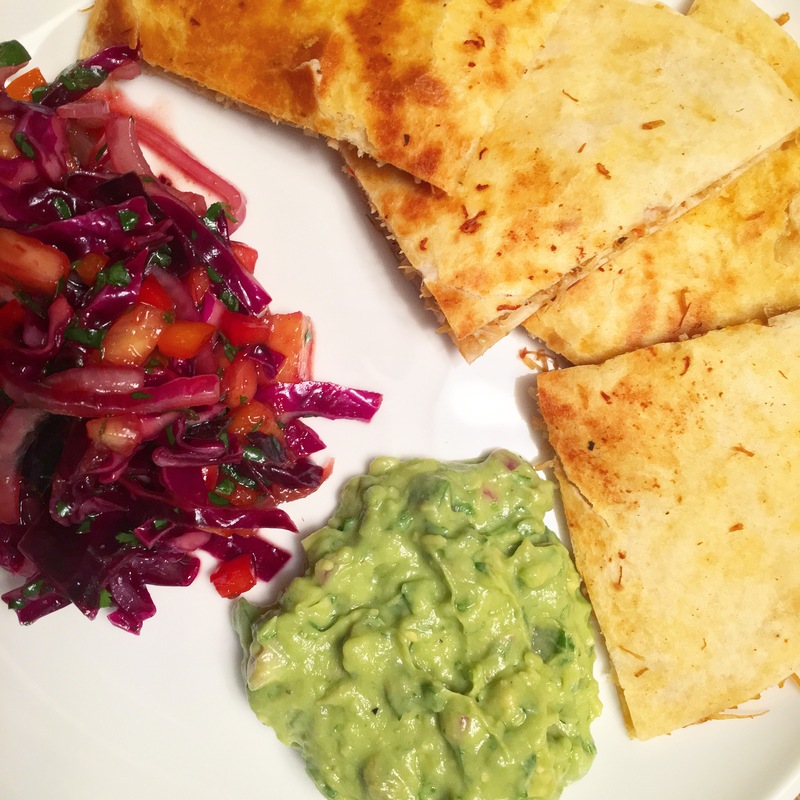 Warm, filling and actually good for you, this is a beautiful dish for entertaining, yet easy enough for any night of the week. 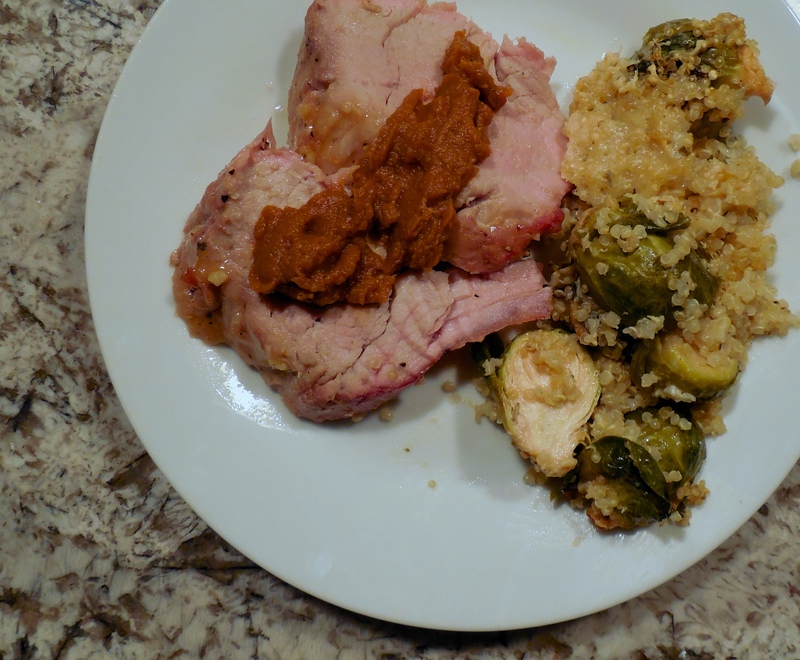 Roasted Brussels Sprout Quinoa Bake – aka, David’s new favorite meal. Once quinoa is done, mix in milk, cheese and spices. Add in sprouts, pour into a baking dish (mine was 1.5 quarts, but an 8×8 works), top with shredded cheese and bake 12-15 minutes, until top is just browning. Serves 4-6 as a main, 6-8 as a side.